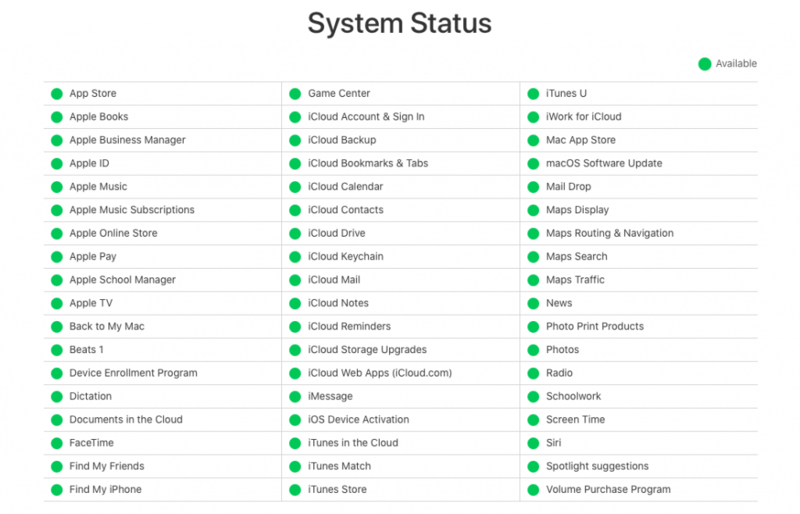 You can check Apple system status for its services, stores and iCloud. This is how you can see if Apple Servers is down or having service issues. Multiple iCloud Services: Some users were affected. New and recently changed content may not have updated across devices for iCloud Drive, Backup, iCloud Notes, and Photos. This page lets you view a list of recent outages and updates from Apple. Furthermore, Apple will update its System Status page to indicate that when outages are resolved. Apple will also post announcements on this page if there is any planned upcoming maintenance. Apple has been running this webpage since 2013 to inform users of outages. Note that Apple has a separate status page for developers.